Driving a school minibus is not, however, a task to be undertaken lightly and the safety of pupils and staff should always be the first consideration.The following rules apply to the incidental driving of minibuses by all types of educational establishments. Drivers who passed a category B test (normal car test) before 1 January 1997 were granted automatically category D1 (passenger carrying vehicle - not for hire or reward) entitlement. Since 1 January 1997 drivers no longer receive automatic category D1 entitlment when they pass a category B car test. A driver who holds a passenger carrying vehicle category D licence (hire or reward) can drive any bus with upto 16 passenger seats. 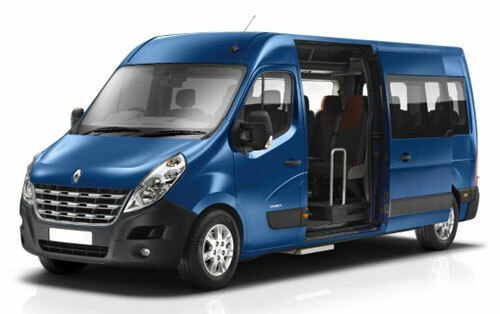 Minibuses you can drive with no passengers on the public highway in the UK! A B category licence holder can drive a minibus empty with upto 16 passenger seats as long as the vehicle's gross vehicle weight does not exceed 3500kgs. 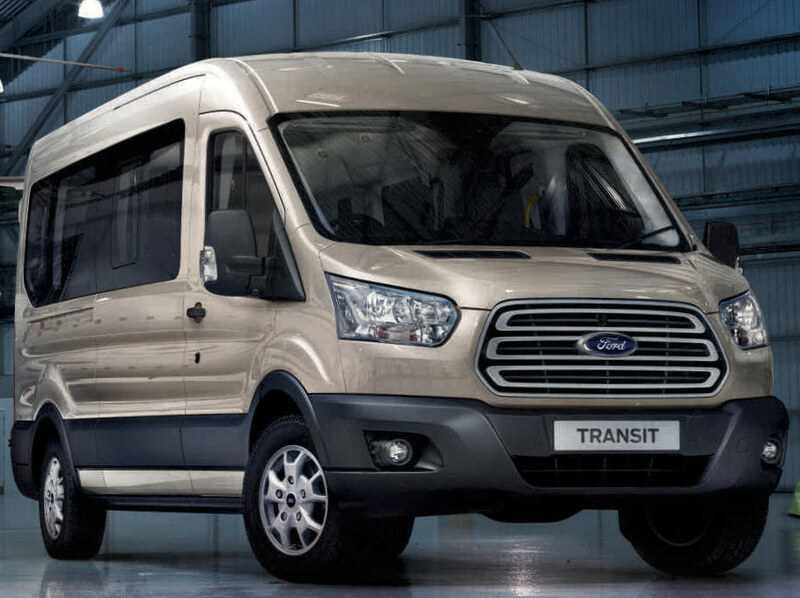 An example of a minibus which is suitable for a B car licence as per the conditions of use above, is the Peugeot Boxer 3500 16 seat, the Ford Transit 11 seat (350) and Ford Transit 12 seat (350) minibuses. A D1 category licence holder can drive a minibus empty with upto 16 passenger seats under or over 3500kgs as long as the vehicle's gross vehicle weight does not exceed 12,000kgs (combined weight with trailer if D1+E category). If you volunteer to drive a school minibus you must, by law ensure a Section 19 permit has been obtained if one is needed. Drivers who hold a category D1 driving licence can drive minibuses over 3500kgs in gross vehicle weight with up to 16 passengers as long as they are not employed to drive a minibus directly. ie. they undertake incidental driving. the minibus is up to 3500kgs (3.5 tonnes) in weight, 4250 kgs (4.25 tonnes) where the minibus has been adapted to carry wheelchair passengers. Bodies that are deemed to be commercial, eg. independent schools which lack charitable status are normally only allowed to use category D1 drivers to drive their minibuses. Independant legal advice is necessary to ascertain if drivers who only have category B licences can be used. The interpetation of the establishments' status will be the primary objective of this legal advice. 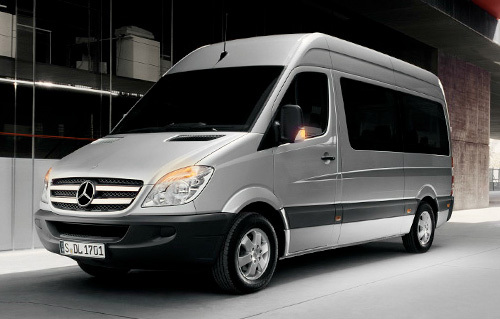 Some private schools having private business status, operate their minibuses on a commercial operator's (PCV) licence. In these circumstances, a driver would not be permitted to drive the minibuses on a standard car licence. Current opinion is that the driving of students in minibuses for non-social purposes such as field trips is likely to be viewed by a court of law as being for 'hire and reward'. If the minibus is to be used for 'Hire and Reward', then a Passenger Carrying Vehicle (PCV) - Category D Licence is generally required. Generally, schools making a charge on a non-profit basis operate minibuses under a section 19 permit, allowing them to collect fares and contributions from pupils on a not-for-profit basis. This permit also allows certain drivers with standard car licences to drive these minibus under these conditions. It is the driver's personal responsibility to ensure that the minibus has been fully serviced and is in a fit condition to drive on the road and that the necessary daily and weekly safety routines have been undertaken and the details entered in the vehicle log book. Failure to carry out these checks could absolve the employer from any vicarious liability. The driver has the legal responsibility for enforcing this requirement and ensuring that seatbelts are worn, except in the case of adults and children aged 14 and over who are personally responsible for the wearing of their seatbelt. Volunteers who drive a school minibus are personally responsible for its roadworthiness. should contain water or foam or halon 1301 or 1211). Fully stocked first aid kit (containing as a minimum : 10 foil packed antiseptic wipes; 1 conforming disposable bandage (7.5+ cm wide); triangular bandages; 1 packet of 24 assorted adhesive dressings; 3 large sterile unmedicated ambulance dressings (15 x 20 cm or more); 2 sterile eye pads and attachments; 12 assorted safety pins; 1 pair rustproof blunt-ended scissors; Sterile gloves and mouth masks. In addition to the above, there should also be a regular vehicle maintenance system in place to monitor more detailed mechanical matters such as tyre pressure, coolant level and brake fluid level. Check the handbook to satisfy yourself that these checks have also been recently undertaken so that you can be confident that the school minibus is safe before you set off. .
Any defects found by the police if the vehicle is stopped, would be the responsibility of the driver who will personally receive any fine and / or subsequent points on their licence, or even prosecuted (depending on the seriousness of the offence). The driver would also be responsible for any road traffic offences committed. It is the driver's responsibility to make sure that the minibus insurance policy covers all the uses relevant to how the vehicle is being used. i.e the total number of passengers allowed, the total weight and all the people allowed to drive the minibus. Speed limits for minibuses(not towing a trailer) for A class roads (where a lower limit is not signposted ) is 50 mph. On a dual-carriageway the limit is 60 mph and 70 mph on motorways. When towing a trailer the limit on motorways is reduced to 60 m.p.h. It should also be noted that the outer (overtaking) lane of a three or four lane motorway must not be used when towing a trailer. That being said, from 1st January, 2007, there is a requirement for all diesel minibuses registered after 1st October 2001 to be fitted with a speed limiter restricting their maximum speed to 62mph. This will be extended from 1st January 2008, after which date there will also be a requirement for all minibuses (petrol and diesel) registered after 1st January 2005 to be fitted with a speed limiter. By law, seat belts must be worn by drivers and passengers at all times. It is the responsibility of the driver to ensure that all passengers comply with this regulation. New seat belt laws require children under 135cm to wear child restraints in addition to seat belts. Driver responsibilities will vary depending on the type of minibus driven. Ignorance to these seat belt laws will result in a new offence being committed, especially introduced for drivers of buses, coaches and minibuses. Drivers failing their passenger responsibilities can either expect to receive a £30 fixed penalty notice or a maximum fine of up to £500 if the case goes to court. Minibus owners and operators could also be fined a maximum of £2,500. Alcohol is illegal on buses going to and from sporting fixtures. Horns and reversing bleepers must not be used between 11.30 pm and 7.00 am (except on major roads). This Guide is only intended for general help; it is not a legal document. Therefore you should seek your own legal advice if you have any doubts with these issues. 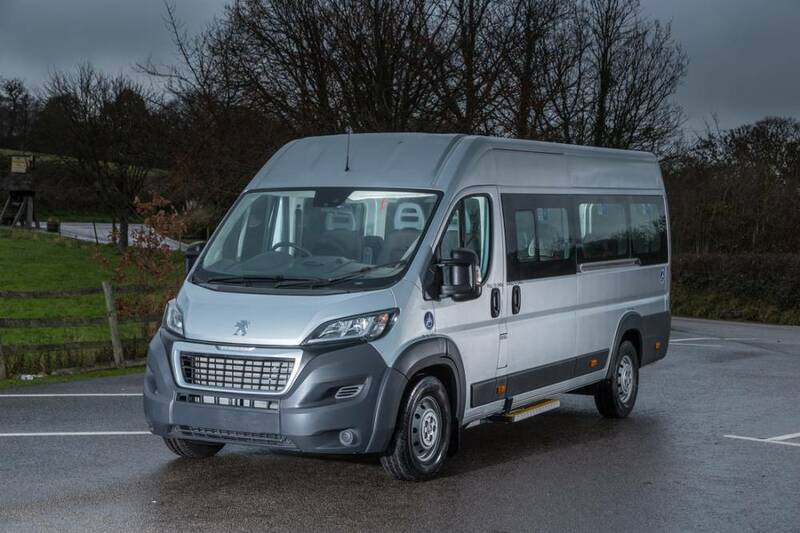 An example of a minibus which is suitable for a B car licence as per the conditions of use above, is the Peugeot Boxer 3500 16 seat. The Ford Transit 11 seat (350) and Ford Transit 12 seat (350) minibuses. 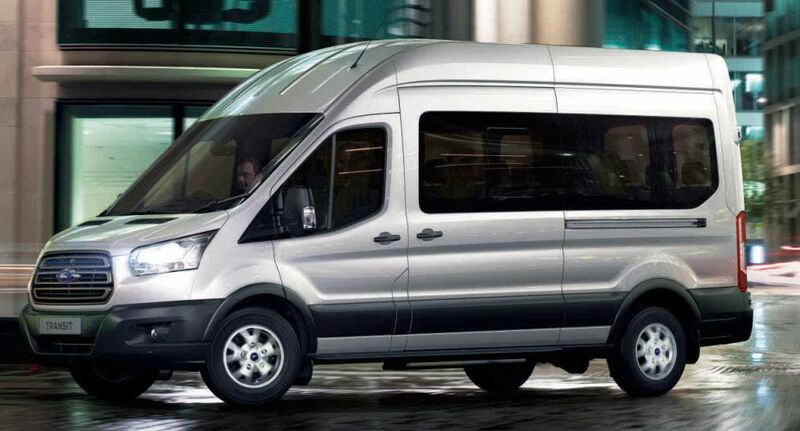 Ford Transit 14 seat (410) 13 passengers, Ford Transit 15 seat (410) 14 passengers and Ford transit 17 seat (460) 16 passengers being under 12,000kgs are suitable for a D1 and D1+E. Please use this link to make an enquiry or send us a message or comment about school minibuses. The following sections show the cheapest rate based on the number of years available. Click the model for all of the options available.